The Green Party believes beyond question that climate change is happening right now and if we do not begin to dramatically reduce CO2 emissions very soon, global warming will accelerate beyond any hope of our control. 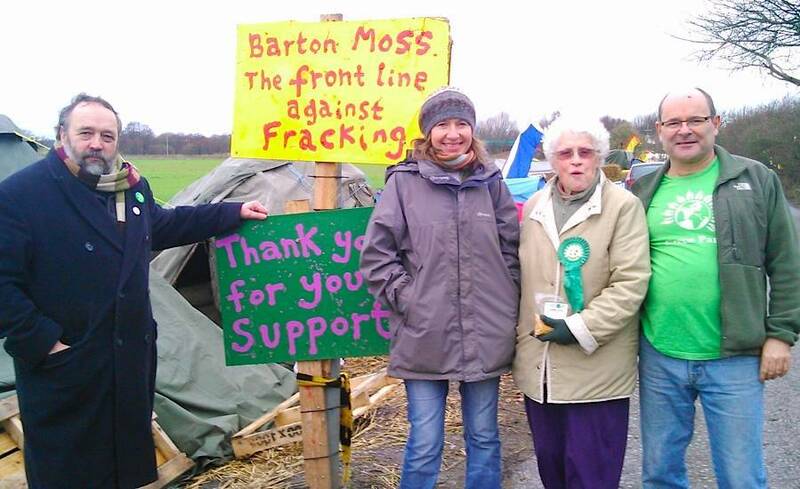 Green Party members Charlotte Farrell and Peter Alan were on the front line against Fracking at Barton Moss. Charlotte is standing as Parliamentary Candidate in High Peak and also as Green Party candidate in Hope Valley Ward in the Local Elections. Quick Quote from Charlotte: “…17 leading scientists and economists have issued a warning – the ‪#‎EarthStatement‬ about climate change. Again!?! Yes, unfortunately, warnings seem to be falling on deaf ears – our current government have increased incentives for oil and gas exploration – including fracking – and decreased incentives for renewables. It’s time to act. The earth statement sets out eight essential actions – and they’re ALL Green Party policy. This entry was posted in *Location, Candidates, Climate Change, Derbyshire County, Elections, Energy, Environment, High Peak, Local Elections and tagged Charlotte Farrell, climate change, Derbyshire, Earth Statement, Elections, Environment, fracking, global warming, Green Party, Hope Valley, renewable energy. Bookmark the permalink.